Whether a storm has got the best of your roof, or you've got a leak that needs immediate attention, you can always trust the team at Trent Roofing to come to your aid in your hour of need. Our team of emergency roofers provide a round-the-clock service to ensure that your home is protected when your roof has been compromised. For 24-hour roofing services in Nottingham and surrounds, you can trust the team at Trent Roofing. 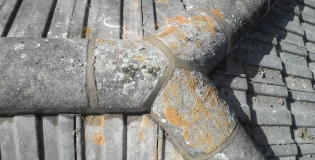 Discovering a problem with your roof is bad enough, without worrying about communicating any issues to your insurance company. Fortunately, Trent Roofing can work alongside both you and your insurance company to make the process as stress-free as possible. Our team are on hand to provide emergency roofing services 24 hours a day throughout Nottingham, Derby, Ilkeston and the surrounding areas. If we're unable to fix the issue immediately, then we will happily install a temporary fix until a permanent one is viable. If you're in need of our team in an emergency, simply contact us today. 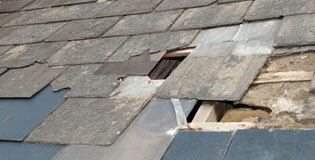 Looking for an emergency roofer in Nottingham, Derby or Ilkeston? Contact Trent Roofing for a swift response and competitive price.